It’s Friday and the week is finally over. You’re exhausted from work, but still have the energy to go out and celebrate the fact that you’ve survived a stressful Monday to Friday. You immediately make plans with the girls and are determined to look extra hot for your night out. BUT you soon realize you’ve been neglecting your hair because it hasn’t been let out of that ponytail all week, and your ends are not in the best condition. What do you do? 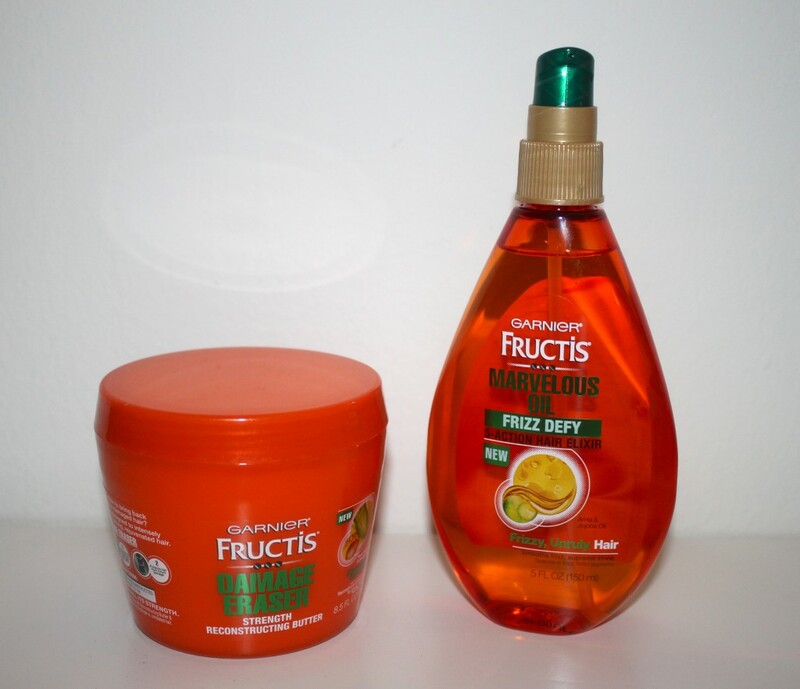 I introduce to you, the Garnier Dynamic Duo! 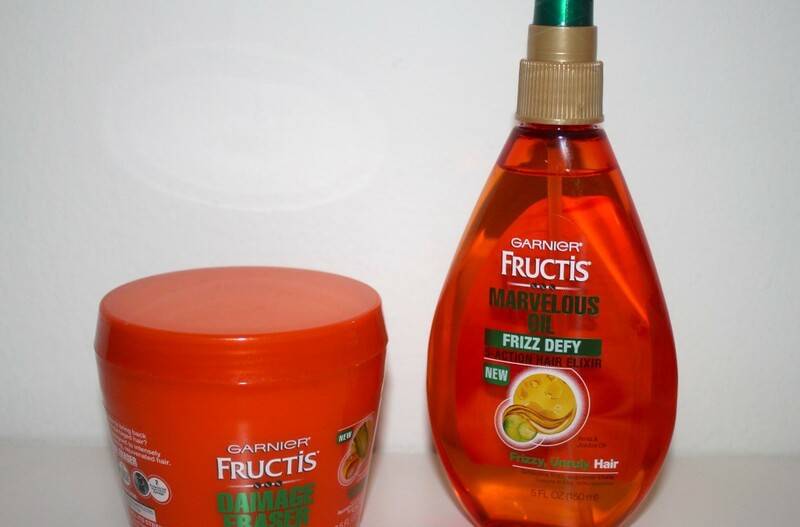 This hair strengthening pair consists of Garnier Fructis’ Damage Eraser – Strength Reconstructing Butter and Marvelous Oil – Frizz Defy, both of which I guarantee will prep you for your Friday night the right way. Now when I say this stuff is magical, this.stuff.is.magical. While I do regularly maintain my hair with some of the most promising products (yes I am still all over my Molton Brown x Goá combo), my locks still manage to become dry, knotty, and stiff by the end of the week. And as much as I wish that I could control New York’s bipolar weather, extra special care really isn’t an option. Garnier’s Damage Eraser works just like a hair mask – apply a generous amount (I’d say 2-3 scoops for long hair) to wet hair from root to tip. Leave on for 3-5 minutes, rinse (I prefer lukewarm water), and voila! Super fast and easy. Trust me, you won’t even need to touch your conditioner after you feel the instant results. Within the time I stepped into the shower and out, my hair has undergone total transformation: soft, luscious, extremely manageable, and not to mention fruity-scented. Just like its name, the product literally erases any damage done to the hair throughout the week, and we can thank its Phyto-Keratin complex and Cupuaçu butter formula for that. Totes a win! Use this duo 1-2 times a week, whether before a GNO, a date, or even when you’re just in the mood to replenish your hair with some special treatment. PLUS with both products priced at $4.99 at Target (total $10), I say go for it without hesitation!!! Oooh… I am – for realz – alllll about that oily life. Yaaaaas oil twerks like a total charm ;). Really enjoyed these products! !